Senior Travel Consultant at our Ipswich travel agents, Susanne Sutton, was given the opportunity to experience a cruise with Saga. Having been impressed by what she found on board the ship, she is now ready to recommend a sailing to her customers. Here are some highlights from the trip. 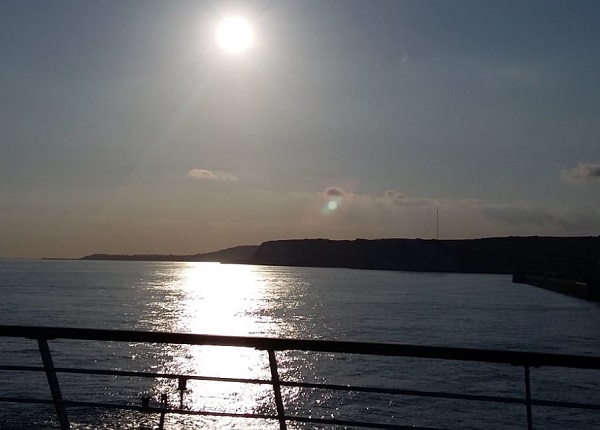 We departed from Dover and, from the moment we arrived at the port, the service and customer care were noticeable even before boarding. Our group met early and we could see the Saga drivers lined up to collect the disembarking guests and provide their complimentary Saga transport home. The check-in staff were very attentive and were happy to assist anyone who needed extra help. This friendly welcome gave us a good first impression of the Saga experience. Once on board, I was pleasantly surprised. I had no idea what to expect and was impressed straight away with the ship. It takes 720 passengers, so it’s a small cruise ship, but the onboard experience is perfect. The public rooms were stylish and it had a bright and airy feel to it, which I wasn't expecting. Some ships can feel dark and enclosed just walking along the corridor, but not Saga Sapphire. The cruise was at maximum occupancy, but you would not know this on board. There were no long queues and it never felt crowded or too busy even in the restaurants. As the cruise was full, we were unable to see a selection of cabins. I had a sole occupancy cabin on the deck 4 with portholes. It felt a good size and was modern, comfortable, had an excellent walk-in shower and there were no signs of tired décor. There are no tea and coffee facilities in the cabin, but with just a call to 24-hour room service, your drink arrives on a tray within minutes. I am sure many guests love this – I certainly did! The cruise is on an all-inclusive basis, encompassing dining in all restaurants, selected drinks, snacks, room service, gratuities and even an ice cream station. There is free Wi-Fi too. The only extra expense needed would be excursions, spa treatments and branded drinks. You also have transport to and from the port included within a certain mileage. The age requirements to travel on Saga are 50+, but you’re also able to bring a travel companion aged 40+. Generally, though, the average age on our cruise was much higher, which we were told tends to be the case on certain cruises, but not necessarily the case on Saga’s package holidays. The friendly atmosphere on board I think is an important selling point. Throughout the cruise, it was noticeable that the entertainment staff, dancers and singers all socialised with guests and were encouraged to mingle – something which the guests clearly enjoyed. They also had a gathering on the first day for single travellers to meet other single travellers. There are three restaurants on board Saga sapphire and you can dine when and where you want with waiter service. 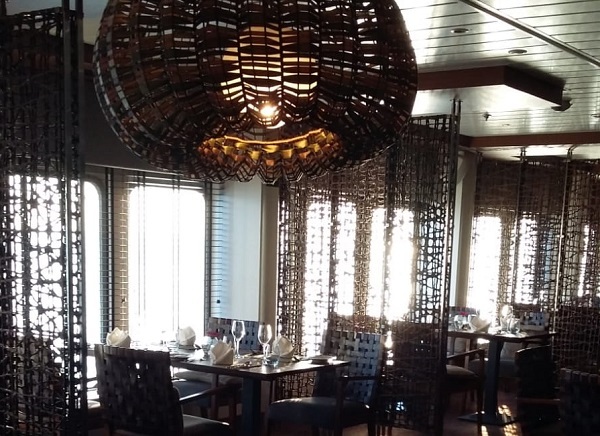 They have a speciality Asian restaurant called ‘East to West’, which has no additional charge, but it is best to make a reservation in advance. The food really was excellent on board and another really good selling point. Up on the pool deck, the beach club serves fish and chips and has a sweet stand with a selection of jars. This was a nice touch along with the ice cream station. The Britannia Lounge hosted the shows. They had a selection of entertainment on the four nights we were on board and the lounge was full for them all. They also have afternoon tea here, which is popular if you can possibly fit in any more food. The Drawing room was always popular whenever we went in day or night; it’s a panoramic lounge with library, tea and coffee station and games. In the evening, there was live music here and guests soon got up dancing with the encouragement of the hosts on board. There is a gym if you want to attempt to work off all the food and a sauna and indoor pool within the spa. The spa and beauty salon have a wide selection of treatments which we were able to sample. Throughout the ship, there is always something to do...yoga and other keep fit classes, deck games, talks and presentations on ports of call, quizzes, cooking demonstrations, computer classes. Every day the important daily newsletter is delivered to your cabin to inform you of what is happening that day. Saga also delivers a daily newsletter with British news, which we often saw people reading. There is a good selection of excursions for each port and they are graded in terms of how suitable they are for varying levels of walking ability. There are four different grades ranging from Panoramic (where you stay on the bus and maybe stop for a photo) right through to strenuous activity. This is an important point as we went on two excursions graded moderate which detailed clearly the walking and terrain involved, yet some found it a bit tiring and should really have booked an easier one. 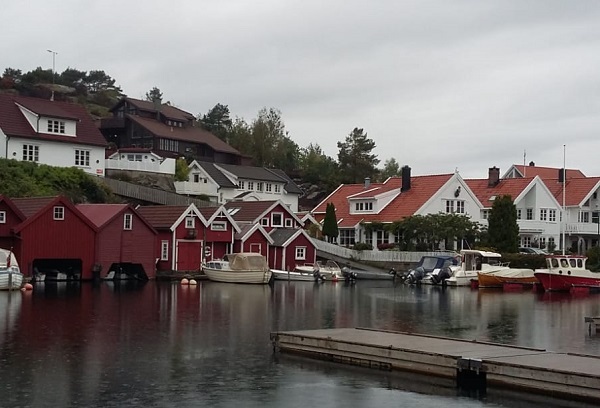 Our itinerary consisted of four nights from the Scandinavian Seascapes itinerary and we visited Kristiansand and Stavanger before flying back from Gothenburg. The trip was really not about the destination though and more about experiencing a taster of life on board Saga Sapphire. It did feel as though many of the guests just like being on board regardless of the itinerary. We did the Stavanger City and Surroundings excursion, graded as moderate for walking. We visited the Eiganes Cemetery where the graves of 45 British war casualties of the allied Norwegian campaign are located. This was a beautiful cemetery and the informative tour was moving and a popular stop with the group. We saw residential areas of wooden houses on the way and also stopped at a scenic spot near Hafrsfjord to see the Swords in Rock monument. We saw the Stavanger cathedral and were then able to walk through the cobbled streets of old Stavanger. This area is quaint and historical with small, white-painted wooden houses now protected by a preservation order due to their historical importance. We also took part in the City and Surroundings walking tour of Kristiansund – again graded as moderate. This tour started with a journey through part of the city in a coach. We were taken to the Vest Agdo county museum which gave us a fascinating insight into how people lived and the Viking way of life years ago. This was really interesting and we had museum guides explaining everything to us about their homes and way of life. We then travelled on to a small fishing village by the name of Hollen. Unfortunately, it was pouring with rain but, on a clear day, I’m sure it is beautiful. Saga also arranged for our group to compete in a cake decorating competition. We were given the cakes and a whole selection of decorating ingredients and put into pairs to compete. 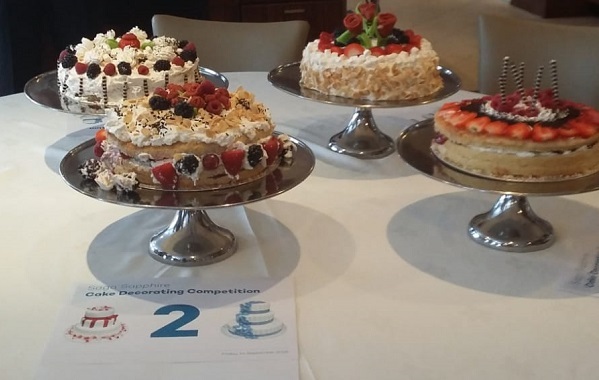 This was carefully judged by three members of the catering department and, amazingly, after what seemed a frantic time against the clock, I was in the winning team! Watching an elderly lady with a walking frame being able to stand and sway to the music whilst supported by a dance host is something that summed up how Saga make the effort to ensure their guests have a great time, no matter their age or ability. I thoroughly enjoyed my four nights on Saga Sapphire and can see why they have many repeat passengers. If you are interested in taking a cruise with Saga, or any of the other cruise lines we have available, visit your local branch to discuss how we can help you. We have travel agents in Dorchester, Westbourne, Bournemouth, Lymington, Christchurch and across East Anglia.